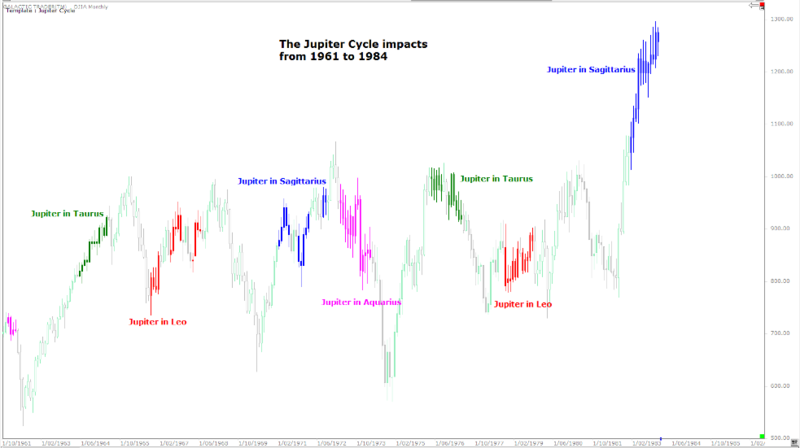 Could the position of the planet Jupiter consistently predict the timing of Bull market tops and Bear bottoms? In both cases, this “king” of gods introduces the concept that one can break free - spiritually or materially. In brief, Jupiter is the symbol of growth and expansion. The kneejerk response of many readers will be to dismiss the assertion as superstitious nonsense. It is an understandable, if predictable, response. Most people simply don’t know anything about the complexity of astrology, its history, or the fact that the system of symbolism and prediction is based on observation by literally millions of practitioners over thousands of years. 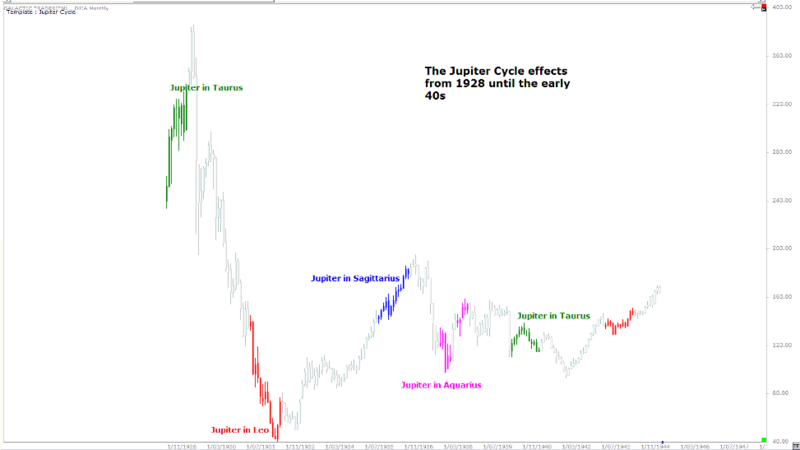 It is simply a clearly demonstrable fact that trading The Moods of The Moon - the monthly phases of the lunar cycle - produces steady and reliable profits across any long-term timeframe. And many of those same dismissive readers will happily fork out bundles of boodle to be trained in Gann techniques, or take notice of the Bradley Model turn dates - without having a clue that both are deeply rooted in astrological aspects. · We are moving into the long-term negative tendency of Jupiter moving out of early Taurus and towards Leo, where he will take up residence from the second half of 2014 until June, 2015. 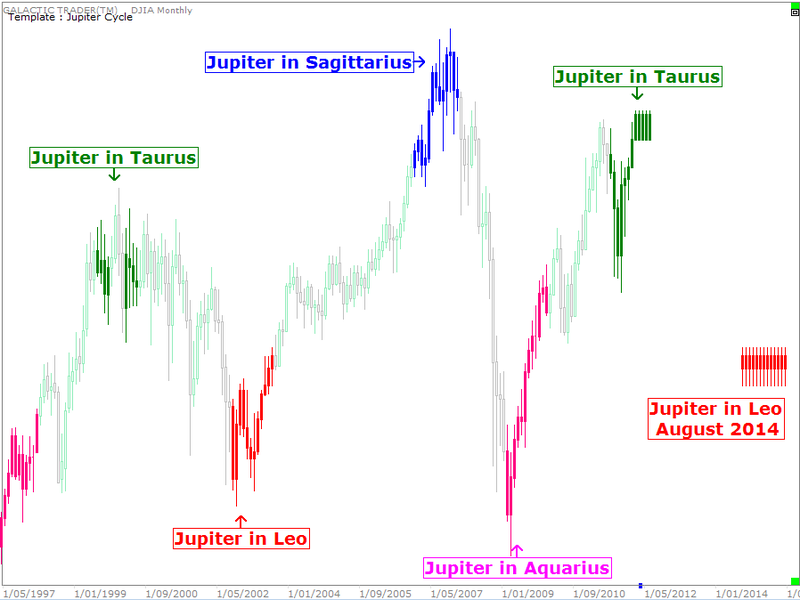 · We are entering the exact timeframe of another long-range negative astrological aspect - Uranus square Pluto, an aspect which last occurred at the bottom of the 1929-1932 crash - and the first exact hit of that aspect occurs this year in June and will continue until March, 2015. In my weekly columns I constantly caution readers against allowing astrological expectations to override the commonsense technical conditions shown by the current state of the charts. 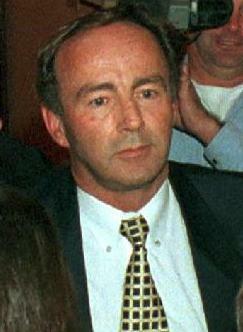 Nevertheless, it’s why W.D. Gann has a large worldwide following, decades after his death - and why J.P. Morgan had the renowned astrologer, Evangeline Adams, on his payroll.